A Babylove Giggle and Hoot Nappies Review Plus Win A Month's Supply of Babylove Nappies! Have you a young child in your home who is a big fan of the excellent children's television series Giggle and Hoot on ABC TV? If you do, then you will definitely want to know about a great offer currently available at all Woolworths supermarkets. For a limited time only, Babylove nappies and ABC TV have partnered to produce a special Giggle and Hoot nappy promotion and it's exclusive to Woolworths supermarkets nationally. Inside specially marked jumbo packs of Babylove nappies, you'll find a quality hard-board puzzle manufactured by the well known Tree Toys and there are four great, themed puzzles to collect in the series. Children and books are such an important partnership. There is no better way to open your little one's mind to the wonders, power and possibilities of their developing imagination than through a book. Eastland Shopping Centre is proud to announce its special new partnership with Eastern Regional Libraries, bringing the art of storytelling to your child and it's all for free. This special new activity hosted by Eastland and conducted by Eastern Regional Libraries, will be held every second and last Tuesday of each month. During these sessions, your child will be invited to read books and listen to inspiring stories while developing their social skills in the process, through interaction with others. "Storytelling is not just about telling a story. It's all about having the heart and passion to make stories interesting for the children and at the same time, instilling in young minds, important life lessons from the story. Eastland is excited to partner with the local community and hopes that parents will love this new activity." Celeste enjoys reading the beautiful *'Sunshine and Snowballs' by Margaret Wise Brown. The Storytelling fun begins at Eastland from November the 11th at 11am and can be found at the centre at the Playground on level 2, every second and last Tuesday of the month. Eastland Shopping Centre is located at 171-175 Maroondah Hwy, Ringwood, VIC. 3134. Storytelling sessions are entirely free. Visit the Eastland website for more information. with a CD valued at RRP $19 each to giveaway. Please share the love! Let your friends know about this event and giveaway by sharing on your social media using the options below. We really appreciate this so thank you in advance. the simple steps to ensure your entries count. All winning entries drawn are screened to ensure they conform to these requirements and those that do not will be disqualified. This is a game of skill and the most creative / informative answer as deemed by the judge will win. Please follow Six Little Hearts on Facebook. Follow the Rafflecopter App below. held and offered on Six Little Hearts can be viewed here. *Disclosure: The book featured in this post was gifted. Yesterday, I felt rather helpless. I had my one year old Daughter feeling very out of sorts from morning til night. She grizzled and raged and wanted nothing more than to be held. Sometimes she didn't want to be held either in a frustrating play of toddler independence versus dependence. To make it all worse, she refused to breastfeed too which was perceived by me as some kind of really painful statement. Of course it wasn't at all, but crazy child behaviour is a ripe breeding ground for crazy adult thoughts. With four young boys in my home, I have always been surprised by the vast differences in interests each of them have developed. Some are car kids, some are blocks kids, some are computer gamers and others are wrestling / boxing types. Eight year old Ruben is definitely the wrestling / boxing kid. I can't say why or even how this obsession came to be as I seriously do not ever recall watching anything of the sort on television at any time. Where do these interests come from in our kids? Maybe he has seen TV commercials or strolled past something in a toy store? Wherever the obsession came from, this latest toy when it arrived, just had his name written all over it. He was positively busting to get into this one I can promise you! After excessive begging and little opportunity to get started on building his dream set, finally the perfect moment came about one school day last week when he was just so tired his little feet could barely carry him from the car and through the school gate. (Actually, he couldn't get out of the car at all.) Feeling sorry for him, (and knowing that we had a late night event to attend that evening), I kept him home for the day...and rewarded him with the WWE Stack Down building toy he had been so eager to assemble. The WWE Stack Down Universe building toys are the first ever wrestling themed range that allow kids to build their own ring, props and WWE superstars. Once built, kids can enjoy being the referee of their very own wrestling adventures. The blocks themselves are designed for the 6 plus age group and this particular set contains a do-able 208 pieces. Included are full colour, picture instructions which clearly and visually explain how to assemble the set. Ruben had flagging energy levels when he sat down to begin this build but did manage to put 50% of it together on his own. He kept the remaining half aside to work on with Dad the following day. Secretly, I think he just wanted to have some man time with Dad. That's great though - I love my boys to do this. Dads and Sons are a really cute combo to observe together when you're a Mum. Plus it gets them off your back for a short time. As for the bits and pieces of the finished product, I think they are tremendously cute also, though probably not the term my boys would pick as that would be too unmanly. There are gorgeous real-life action features that I can see would make this a toy hit with boys in the 6 plus age group it is intended for. The set features real life wrestlers Rey Mysterio and Sheamus who can flex their muscles in their very own gym on the weights bench. There are punching bags and dummies for real boxing practice and workout action. Little levers move from side to side so that kids can enjoy watching their characters train from every angle as if animated. The characters themselves have 12 points of articulation which makes them highly satisfying little men to play with when it comes to muscle action. There's even little lockers for storing all their workout gear. Ruben loves this toy and he has played with it every day for a good deal of time. We think this is a great stocking stuffer this Christmas for young boys and the WWE Stack Down Universe Train and Rumble Playset (product 21021) as featured here retails for $49.99. You can find this and others in the range at toy and department stores nationwide or search online. *Disclosure: The item featured in this post was gifted for the purpose of review. Opinions expressed are those of the blog's Author. when it comes to choosing toys? I think it was my six year old Son who started the stretchy lizard craze that is currently in full swing at our home. He came home from school one day last term with a couple of coloured, stretchy lizards he'd earned for good behaviour in class. He was smitten. Have you seen them before? The lizards are party favours and I am not sure why they are such a huge hit. They stretch for miles and feel jelly-like. They stick to all manner of things and wobble. Actually, now that I think about it, I know full well why they are so much fun for kids. Are you too, beginning to feel like it's the end of the year? I have been rushing about so much lately. Term four is a nightmare for parents yearly isn't it? It is the term when school kids come home daily with a million forms to fill in for every imaginable excursion and incursion under the sun. My wallet is constantly open and empty at this time of year, keeping up with all of those consent forms and I haven't even started Christmas shopping yet. Yikes! It's no wonder I am frazzled. There's no ignoring it, my youngest is in full-blown toddlerhood now. Her constant chatter, mimicry, focused play and adorable companionship are all signs of the emergent child. This is such a golden age. These days we're managing to get out and about as a team more than ever and it's all so much easier than it was just twelve months ago. All parents are bound to be familiar with the honey sweet Maya the Bee series on ABCTV. Maya is a curious young bee who finds herself in all kinds of sticky little adventures with her fellow inquisitive bee pal, Willy. 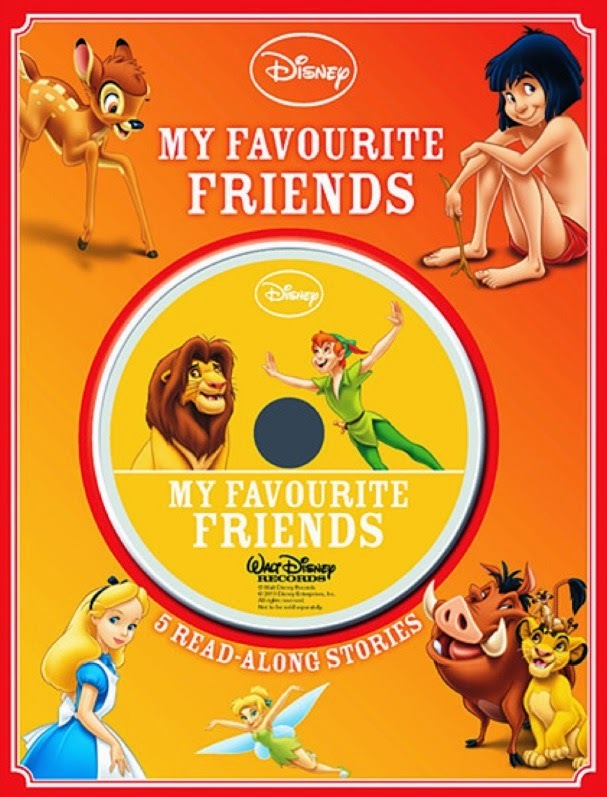 It's a captivating series for young ones and a hit in our home. To celebrate the launch of the new Maya The Bee Movie currently showing in cinemas nationwide, ABC Shops are stocking some delightful new Maya merchandise in time for the Christmas season. We've been sent some great items to play with for our resident little busy bees who are avid watchers of the series. In the new range are gorgeous plushies, figurines and bath toys which are perfect choices for all little people this Christmas. For snuggling in bed or hugging while watching the new Maya the Bee Movie, the large 30cm Maya and Willy are the perfect choice for your child. They are beautifully finished and large enough to act out some great adventures of your child's own design. These two retail for $29.99 each and you can purchase Maya here or Willy here from the ABC Shop website. For a more compact choice, the smaller 20cm Maya and Willy are superb for going everywhere with your child. These two are extremely cute and just right for taking along to a day at kinder and would tuck nicely into a handbag or nappy bag for adventures with your little one on the go. The smaller toys can be viewed or purchased here for Maya or here for Willy and retail for $19.99 each. so bee sure to check them out! If you have a little Maya fan, hurry into cinemas to see the fantastic Maya the Bee Movie which is currently showing and ends soon. Please follow Maya the Bee on Facebook. 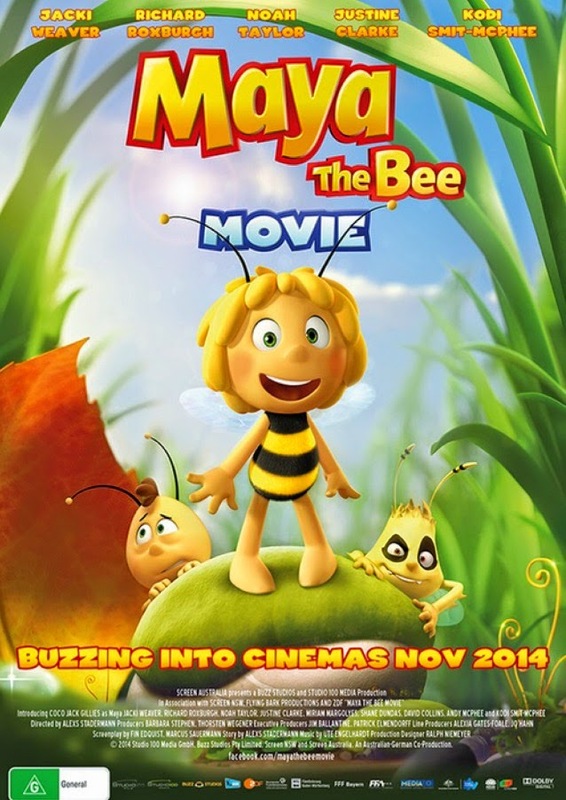 Visit the Maya the Bee website for lots of kid friendly Maya fun! *Disclosure: The items featured in this post plus additional items not shown were gifted for the purpose of review. All opinions expressed are those of the blog's Author. Can there be anything cuter than a little human learning about the wonders of nature? I had the joy of watching my baby girl play in our garden on the weekend. Flowers naturally attract little people. She was sniffing the daisies and exploring their delights. I decorated her hair with a small flower and then grabbed my camera for a chance to keep the memories. *This post is brought to you in collaboration with Flora. I am always on the hunt for good slice recipes. Baking small, self-contained items that fit perfectly into lunchboxes is something I quite enjoy. Just as well too; I spend so much time baking just for this purpose with all these babies in an effort to save myself some cash - It might as well be fun! Just about every parent wishes for their special little person's space to be filled with love, laughter and happiness in such a way as to reflect their own feelings for their child. It's part of the joy that is parenthood and a fun one at that. You don't have to look too hard to find inspiring ideas to decorate a special room for your little one either. A quick browse over on Pinterest will set your heart a-flutter with ideas and likewise, nearly all parenting magazines on the market tread this well-worn topic regularly. As I watch my sixth little one grow, it strikes me time and time again how very different this one's childhood is to the babies I have raised before her. Celeste is surrounded by chatter all day long in a very large and noisy household. She is exposed to so much that my earlier children were not when they were at this same age. My baby girl is certainly very socialised because of it. *This post is brought to you in collaboration with Rexona. Summer's a great time of year isn't it? So warm, fresh and pretty. Great weather means a whole lot of freedom in so many ways: Great clothing choices, great entertainment choices, more outdoors, less indoors...sooo good! It's also the time of year to reveal our pale Winter bodies (kind of frightening though that is) and to feel the warmth of the season on our skin in a real 'tentative pleasure' kind of way. Now that the cold is finally behind us, have you considered a whole new skincare routine for the Summer months? You might find your Winter make up and rich skin and hair care items just look and feel wrong in the bright sun and heat of the day. The 'melted wax candle' effect is really unappealing at any time of year and feels even worse than it looks come Summertime. Time to aim for dewy and fresh instead. Have You Tried Shopping at Ozsale? *This post is brought to you in collaboration with Ozsale. I was recently invited to try out the online shopping experience that is Ozsale. Have you heard of them?